As plans got under way for the Allied invasion of Sicily in June 1943, British counter-intelligence agent Ewen Montagu masterminded a scheme to mislead the Germans into thinking the next landing would occur in Greece. The innovative plot was so successful that the Germans moved some of their forces away from Sicily, and two weeks into the real invasion still expected an attack in Greece. This extraordinary operation called for a dead body, dressed as a Royal Marine officer and carrying false information about a pending Allied invasion of Greece, to wash up on a Spanish shore near the town of a known Nazi agent. 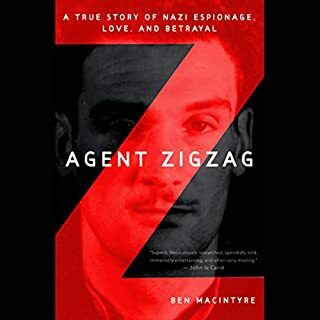 Agent Montagu tells the story as only an insider could, offering fascinating details of the difficulties involved - especially in creating a persona for a man who never was - and of his profession as a spy and the risks involved in mounting such a complex operation. Failure could have had devastating results. Success, however, brought a decided change in the course of the war. What a pleasure! For a non-fiction book, this kept me on the edge of my seat. I did not want to leave my car until I got to the end of a chapter. As it is said in the book, this whole operation was based on a fictional story... but it became a real tale of deception during the war. The characters were all interesting and I felt engrossed throughout my listening experience. I even wanted to listen to the 'afterword', which traced what happened to all the 'characters' in the story. I obtained a copy of the movie 'The Man Who Never Was'. I have not watched more than a few select scenes from the movie BUT this audiobook was by far more in depth and interesting than the movie was or could ever be. An amazing story, artfully written and told with the distinctive rhythms of British English by a narrator wearing an ascot and nursing a brandy. John Lee's voice and delivery are engrossing although his mastery of Spanish and German accents can only be rivaled by Sean Connery's. The deception (centered around a slowly decomposing corpse) which contributed to the spectacular German blunder in allowing a relatively unimpeded invasion of Sicily in 1943 is laid out clearly with style and humor. 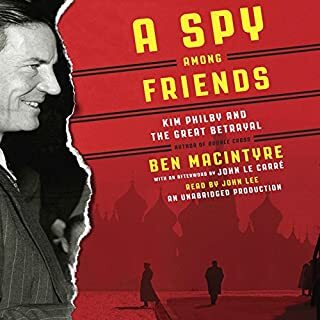 This book is a great exploration of the world of espionage in 1943, of the personalities involved in this small chapter of the conflict, and of a few of the war's major players. A great book and a great narration. This book is a rattling story well worth your time. Over the years much has been written, filmed and speculated around this operation in WW2. Where this book stands out from the crowd is the way it builds context and texture around the individuals involved, whilst adding to the historical record. It also underlines and places the operation within the tide of WW2 nicely. It takes information from both the Allied and Axis records basing itself in the firmly facts and also points out where other tellings sway from the truth and why. 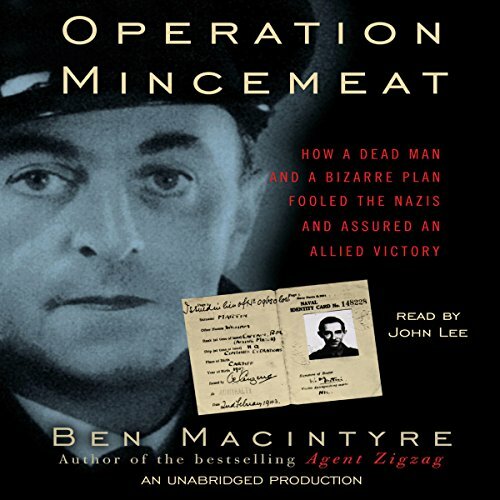 Macintyre goes beyond Operation Mincemeat and touches on the other activities of those involved before and after the operation. 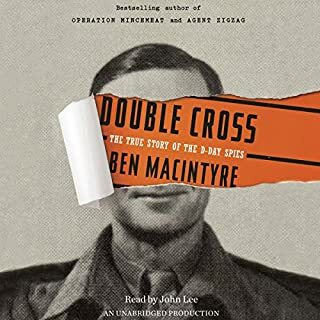 This provides satisfying bookends around the history for the listener as you become so involved in the story (despite knowing the outcome) and the people involved you really find yourself wanting to know what happens to them after the operation. John Lee provides the perfect tone to take you to the period. 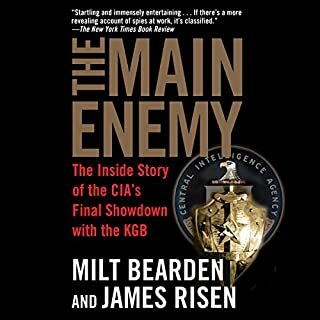 Highly recommended for people who think they know the story - you don't - and those who did not know of Operation Mincement before now. I enjoyed this book -- the story and the historical details were top-notch. 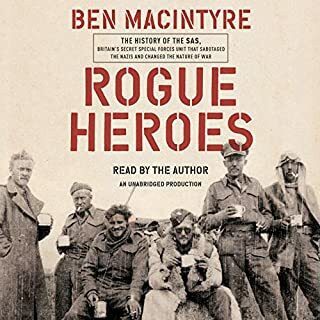 The author spent time giving us a good feeling for many of the players, their background, what their motivations might have been, and the part they played in Operation Mincemeat. Unfortunately, the story telling seemed to drag on at times, especially the ending. After we heard the detailed account of the success of the mission, I expected that it would be wrapped up quickly, instead there were several more chapters telling about how the story came to be public, how the books about it were written, the movie was made, etc. This part of the story took too long. Amazing story to save lives and deceive the Nazi's. I usually like books with dialogue but this is primarily narration, but it is an excellent read (listen). I had to stop it and re-listen as it moves quickly, and I wanted to keep informed on all the details. The attention to detail in order to decieve was amazing and I applaud the author for his research. Other books have been written and even a movie on another book which I saw(The Man Who Never Was). The movie was not even close to the real story. I highly recommend this if your interests involve the war(s), and spys. It is a precursor to James Bond, as Flemming plays a role in the deception. 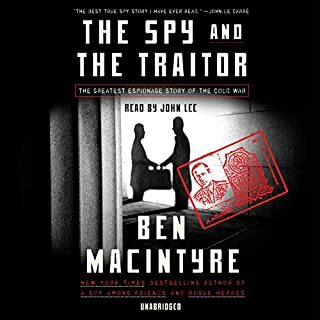 Having read "Agent Zigzag" and pleasurably listened to many well-narrated books by John Lee, this download was a natural. Surprisingly, as good as the book is, Lee's hurried and somewhat high-pitched narration - in contrast to his many well modulated and diverting readings of the Philip Kerr novels, for example - I found to be distracting and, on occasion, irritating. I really enjoyed this. Wonderful reading by John Lee. Great writing by the author and although the "story" moves along swiftly, there's actually a lot of historical detail. What a story! It's rich and full of characters. You'd swear you're listening to some well plotted spy thriller. Highly recommended. This is one of the most engaging and memorable books I have listened to. I am a World War II aficionado, and this superbly written and researched book was absorbing from cover to cover. The story itself is captivating, but Macintyre's style and flow made it irresistable. I listen to books only as I exercise, and my exercise sessions expanded in length and frequency as I became engrossed with this incredible episode in World War II. I am drawn to historical fiction and non-fiction. This book feels like fiction, but is actually true! It is well narrated, intelligent and compelling. It is an amazing cat & mouse spy game between the British, Americans, Spanish and Germans. Although you know the ending from the start, it's a wonderful ride. I highly recommend it!